The Black Board is the newest culinary addition to Libby, Montana with our doors opening in winter 2016. The Black Board offers hand crafted and Chef prepared, modern Mediterranean cuisine on an ever changing and seasonally based menu. Our Chef takes great pride in seeking out quality and sustainable suppliers and when possible, uses the most locally farmed and house made cuisine in Northwest Montana. Ensuring exceptional quality service and fine dining standards is a priority and our purpose is to please our patrons. We encourage you to come, relax, and enjoy a truly exceptional, dining experience. The Black Board is owned, operated, and managed by Seth and Riley Black. Seth Black is The Black Boards executive chef and he has had over 18 years experience in the culinary world. Chef Seth graduated from The Art Institute of Colorado in 2000 with a degree in Culinary Arts and is classically trained in Mediterranean cuisine. On our menu you will see a fusion of influences from French, Spanish, Middle Eastern, Italian, and Greek cuisine. Seth has cooked for over 7 restaurants in the Denver fine dining scene including the popular and award winning Bones, Aubergine Cafe, Clair de' Lune, Somethin' Else, LoHi Steak Bar and Basil Doc's Pizzeria. Seth has worked with nationally renowned Chefs Sean Kelly, Frank Bonanno and notable Restaurateur, Mike Miller, who Seth credits to further advancing his knowledge and culinary creativity in his career. Chef Seth has been critically acclaimed and reviewed by notable food critics from The Westword and The Denver Post. Chef Seth was born and raised in Libby, Montana and The Black Board has been his dream for over 10 years. We are so pleased to open our doors and kitchen to all of Northwest Montana and beyond. 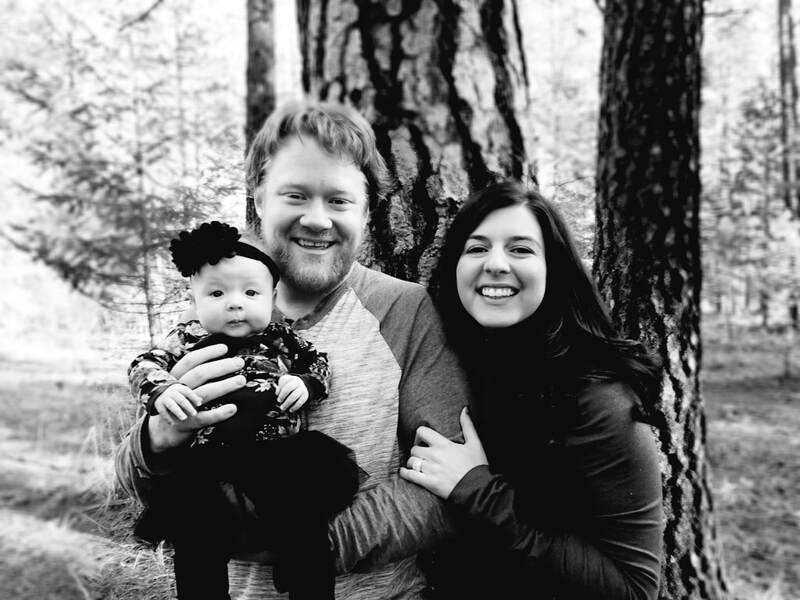 Seth enjoys several outdoor hobbies including skiing, hiking, and fly fishing but is most inspired by the two ladies in his life, wife Riley and daughter Maizey. The Black Board may be new but our location has historical and unique roots. The Black Board is happily situated with splendid views of the majestic Cabinet Mountains and is just minutes from the sparkling Kootenai River. Our location puts you a stroll away from the heart of downtown historic Libby where you will find all the exciting shops, parks, events and attractions that Libby has to offer. The house itself was originally built in 1923 and after extensive renovations, remodeling and restoration, we are proud to showcase much of the original character and history of the house with a fresh modern touch.